The Bible tells us two major truths about what it means to be human. First, we are dust. We are here a moment, limited temporally and limited physically. Depressing as that sounds this is only a partial picture. The second truth about humanity is that we are beloved by God. These truths held together guide our self understanding and the way we ought to approach God. To be dust is to know our need, that we have nothing substantial to offer God in and of ourselves. To be beloved is to know that God himself cherishes and longs for relationship with us. In Beloved Dust, Jamin Goggin and Kyle Strobel explore these two sides of our nature (our dusty belovedness) and show the implications for prayer and the spiritual life. Where many books on prayer offer techniques and detailed plans, this book is more about our proper orientation to God. Goggin and Strobel do have things to say about spiritual practices but this is placed within the frame of this dual identity. The spiritual life is often about letting go of expectations. In the introduction, Goggin reflects on his experience leading retreats. People go on retreat asking ‘how can I fix this?” (whatever is wrong in their life) or “How do I get that feeling back that I used to have with God?” (a longing for spiritual experience). But Goggins and Strobel point elsewhere, “Our prayer for you is that you may have the ability to hear that these are the wrong questions. We are not intereseted in quick solutions, techniques, and formulas for getting you back on track, nor are we hoping to guilt you into the idea that you aren’t doing enough and you should just get your act together” (xvii). And so Goggin and Strobel’s alternative questions are: “Who is God?” “Who are we?” “What does it mean to relate to Him?” “What does it mean to be with him?” (xix). What becomes clear as we observe Jesus praying is that to pray s beloved dust means to pray in reality. We pray in the reality of who we are. We pray as beloved children of the Father. We pray as dusty ones, sinful and broken. We are called to pray in the truth of our identity. If we do not pray in the truth of who we are, then we cannot truly call prayer being with God. Being with God implies that we have actually shown up; we are actually present. PRayer is not a place to hide and cover like Adam and Eve in the garden of Eden. It is a place to be honest like Jesus in the Garden of Gethsemane. (113). Our realness before God allows for relationship. Relationship means that prayer is not always a means to an end (fixing this or experiencing that). As Goggin and Strobel observe, ” Real relationship takes place in reality, and reality is that sometimes we experience disconnection, silence, and confusion. Real relationship is discovered in being with another within these experiences (107). The up and downs of life, feelings of spiritual dryness, profound longing are all seasons in relationship. Goggin and Strobel encourage us to press in anyway, “be with the God who is always with you. In short, the answer to desolation (dryness) in prayer is prayer” (109). Notice of material connection: I received this book for free through the BookLook Bloggers program for the purposes of review. I was under no obligation to write a positive review, just an honest one. 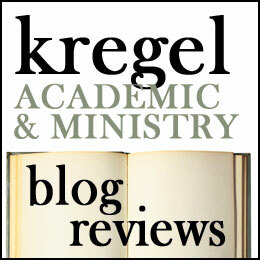 Previous Previous post: Singing the Lord’s Song in a Foreign Land: a book review.